Our car keys have an uncanny ability to get lost inside coat pockets or underneath couch cushions or to disappear altogether. Prior to the 1990s, this wasn't a big deal. You could get a spare key at any hardware store or locksmith shop, not to mention at the car dealership, of course. But because it was easy to copy a key, it was also easy for a thief to steal your car. These days, advances in key technology have made vehicles more difficult to steal, but the price has been costlier key replacements. Here's a rundown of what you'll face in the way of cost if you have to replace your key, along with some alternatives that could lower the bill. The prices quoted here are for riverside california area where an hour of labor at an auto dealership can cost more than $100. A basic car key, which was common up until the mid-to late-1990s, has no security feature other than its unique cut. The shank, which is the long metal part of the key, has cuts and grooves like a house key. It's easy to copy these keys. locksmith doesn't need any extra equipment: He can use the same machine he uses to cut other keys. 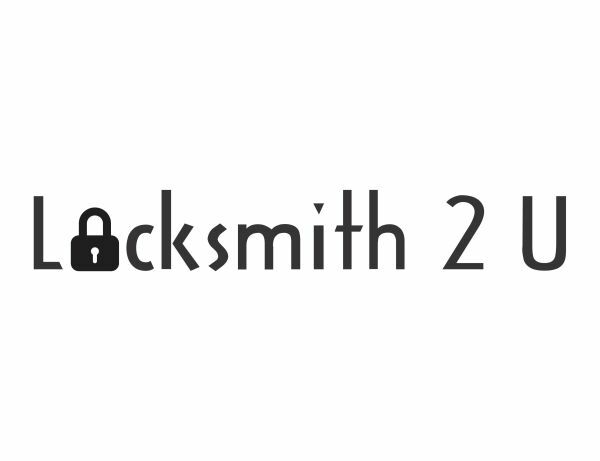 A basic key will cost about $3 at a locksmith shop. The only benefit of having the job done at the dealership would be to get the automaker's branding on the head of the key. On most modern cars, an electronic key fob (also known as a remote or transmitter) is an integral part of the key set. At the dealership, the cost of replacing an electronic fob can range from $50-$90, depending on the automaker or complexity of the design. All fobs need to be programmed. Some dealerships will do it for free, while others will charge a half hour to an hour of labor. There is a way around this fee, however. Most fobs can be programmed with a specific combination of button presses on the remote and key turns in the ignition. Some owner's manuals will show you how to do it, and you can also find this information online. Finally, there are aftermarket fobs that you can purchase online or from a locksmith. Like most aftermarket products, the quality will vary, but they are a less expensive alternative if you've lost your fob. After the mid- to late-1990s, manufacturers began placing a transponder chip in the plastic head of the key. The chip emits a signal to a receiver in the ignition. If this "immobilizer" detects the wrong signal — meaning that the wrong key is in the ignition — the vehicle will not start. A transponder key's shank is either a basic key or a laser-cut key (more on laser-cut keys later). 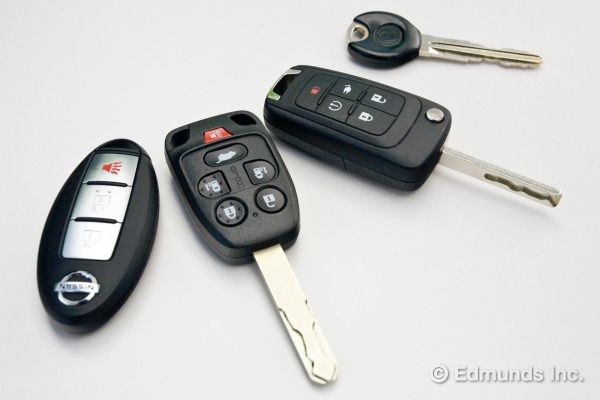 The major difference between a basic key and a transponder key is that the chip in the transponder key must be programmed before it can start the vehicle. All dealerships have the machines necessary to program the key. Some might program it for free, but others will charge up to an hour of labor. Most auto locksmiths should also have these machines. In some vehicles, the transponder key and the fob are an all-in-one unit. This adds to the price of the key and makes it more difficult to get a spare anywhere but at the dealership. We checked the price of a basic transponder key on a late-model Ford F-150. The dealership quoted $160 for the key and an additional $75 for the fob. If you're the type who frequently loses keys, you might be able to save money on the programming by creating a third key to have as a spare. If you already have two keys, a number of vehicle brands will allow you to program a third key on your own. You can have a locksmith cut this "emergency" key and then you follow the procedure for programming, which can frequently be found in your owner's manual. If the manual doesn't show you how, try searching online for the procedure. Try "How to program a (insert your year, make, model) key" as your search terms. Our searches found a method that is said to work on many domestic vehicles. Insert one of your two working keys and turn the ignition to the "on" position for at least three seconds (the car does not need to be started), then repeat the process with the second key. Now insert the new third key and again turn it to the "on" position for another few seconds. This should program the extra key. Before you try this method and spend money on a key, however, we suggest you check with the dealership or your local automotive locksmith to see if the process is one that will reliably work with your car. You can tell a laser-cut key apart from a basic key because the shank is slightly thicker and has fewer carved-out grooves. Laser-cut keys are often referred to as sidewinder keys, due to the distinctive winding cut on the shank. The machines needed to cut these keys are significantly more expensive than a standard key-cutting machine and are not as likely to be found at every locksmith or hardware store. Laser-cut keys also have built-in transponder chips and they need to be programmed at the dealership or by a locksmith, preferably one who is a member of the Associated Locksmiths of America (ALOA). You can search for a certified locksmith near you by visiting the AOLA Web site. All-in-one laser-cut keys are becoming more popular, but as we mentioned, these keys are more expensive and typically need to be replaced at the dealership. Including labor, these can range from $150-$250, which is the price of a laser-cut key for a Honda Insight, for example. Switchblade keys have shanks that fold into the fob when they're not in use and pop out with the press of a button. They can have a basic cut or a laser cut. One small advantage of the switchblade key is that its components can be purchased separately. If for some reason your key is damaged and no longer works, you can buy the shank separately for roughly $60-$80. But the more likely scenario is that you've lost your key, in which case you'll need both it and the fob into which it folds. This can cost between $200 and $300, once you factor in programming of both components. Smart keys aren't keys in the traditional sense. They are fobs that are either inserted in the dash or, in the more advanced systems, they stay in your pocket or purse. The driver turns the car on and off with the press of a button. A smart key's main form of security is its ability to use rolling security codes. The system randomizes the correct code and prevents thieves from hacking it through the use of a device called a code grabber. The vehicle's computer recognizes the code emitted by the smart key and verifies it before starting the engine. Mercedes-Benz was one of the first automakers to utilize this technology, and even coined the term "SmartKey." Every vehicle in its lineup now uses the SmartKey. Smart keys aren't just limited to German automakers. Nearly every car brand has a smart key bundled in its high-tech packages. Nissan, for example, makes it available on a number of models ranging from the Altima to the 370Z. And while it's handy to carry smart keys in your purse or pocket, these are the very places you will feel the pain when you lose them. The cost of replacing and reprogramming a smart key can range from $220 on a Nissan Altima up to $400 on an Acura RL. There's no denying that modern keys are expensive. And so the best defense against losing them is a good offense. It is better to get a spare key now, on your terms, than to stress out and spend the money in what might be an emergency. You can take advantage of the cost-cutting methods here and avoid the labor charges by programming the key yourself. Finally, if you are someone who is tempting fate by only having one set of keys, consider this: If you lose all the keys to your car, you will need to get it towed to a dealership and it can potentially cost you close to $1,000 to replace the locks on your car.